New Orleans is known for keeping the party rolling all day into the next, but it can be surprisingly difficult to find places to eat once the evening turns into the night. Luckily, there are a few beacons of hope scattered around the city for late-night revelers looking to replenish after most restaurants have locked up. Here are nine kitchens across the city that can satisfy late-night hankerings of any kind -- you’ll no longer be limited to Lucky Dogs from street vendors and beignets from Cafe du Monde. The French Quarter’s most trusty late-night eats come from the back of a dusty corner store on a quiet patch of Royal St. Order your food at the tall counter in the back, where you can choose from a wide variety of homestyle dishes -- barbecue, seafood, pasta, sandwiches, po-boys, salads, breakfast, and desserts. Call in an order ahead of time to beat the hungry masses, and be prepared to eat outside on the stoop or one of the new tall-boy tables outside. This cash-only spot is open 24 hours a day, so don’t worry about arriving to a closing restaurant. Bar Redux is a cozy, laid-back neighborhood bar perfect for a music lover. Offering up popular bar eats with a New Orleanian and Caribbean twist, this intimate bar also has live entertainment just about every night of the week, from horror films to live bands. Bar food favorites like wings and nachos can be paired with vegetarian and vegan options -- try the portobello and vegetarian burgers, or the veggie cheesesteak. At Bar Redux, the drinks are cheap and food is served until 2am on weeknights and 3am on weekends. 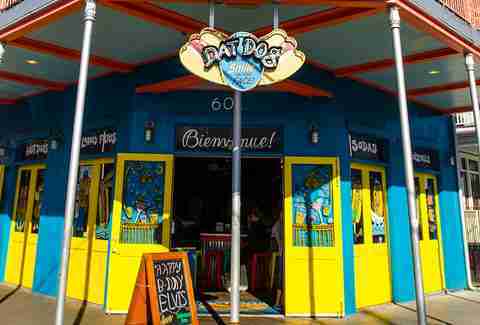 Dat Dog is like Lucky Dog’s adventurous cousin, and its Frenchmen location immerses you in the action of the live music-filled street. 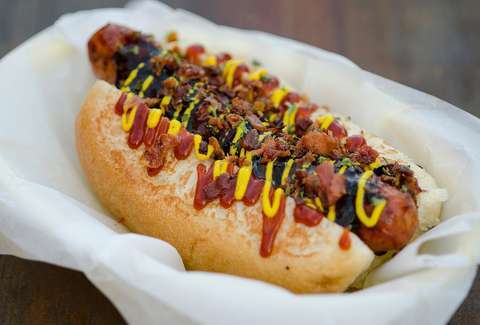 Open until midnight on weekdays and 'til 3am on weekends, Dat Dog offers a highly customizable hot dog experience in a high energy, festive, and bright environment. From traditional German and Polish sausages to locally produced sausages made with alligator, crawfish, and duck, and over 30 available toppings, it’s hard not to experiment. Loaded fries are popular for those not looking to fill up on meat. This casual wine bar on St. Charles Ave features $5 glasses of wine daily, alongside rich appetizers and entrees. The pommes frites is a popular choice for groups looking to share a bite -- they’re fried in goose fat and served in a towering pile, with aioli and peanut satay on the side for dipping. Delachaise also gives a serious upgrade to standard fare like flank steak bruschetta and grilled eggplant cannoli, as well as entrees such as grilled cheese Anabella and steamed mussels are upgrades on standard fare. Order food at the bar and enjoy the outdoor patio until 2am on weeknights and until 3am on Saturday and Sunday. 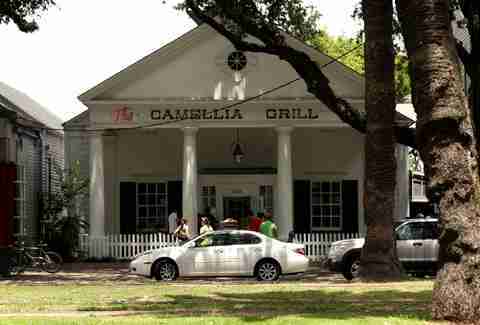 Serving diner classics since 1946, The Camellia Grill is an old-school fixture in uptown New Orleans, right off the St. Charles streetcar line. Counter seating and an open kitchen creates a fast-paced and excitable environment, and the line to enter often snakes down the street. Open until midnight on weekdays and 2am on weekends, top menu items include tasty burgers, massive omelettes, and a long list of speciality sandwiches. Sweets are a must here; be sure to try a chocolate cherry freeze or a slice of pie to cap off your meal. Hidden in the back of Siberia, Kukhnya serves up Slavic soul food that will stick to your stomach. Beets feature heavily on the menu, most notably as a star in the hearty borscht and in the beet burger. While vegetarian and vegan options abound, the massive reuben is one of the best in the city. Pierogis, blinis, and golumpki round out the robust menu. 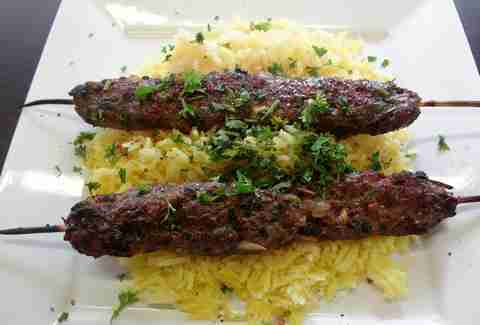 The huge portions and low prices at Kukhnya will fill you up until midnight. Just a few blocks from the din of Bourbon St is Cleo’s, a convenience store serving up fresh Mediterranean eats 24 hours a day. It’s a tiny place with a packed menu -- think stuffed grape leaves, gyros, falafel, spinach pie, kebabs, hummus, and shawarma -- that’s deeply satisfying, fresh, and filling without half the regret of typical late-night meals. Cleo’s offers tables for those wanting to dine in, or delivery when it’s too late to leave the house. Hoshun Restaurant serves up straightforward Asian fusion and keeps its doors open until 2am every night of the week. Hoshun is perfect for late-night sushi and Americanized standards of Chinese, Thai, Japanese, and Vietnamese dishes. The menu is vast and the portions are huge, and the dining room can easily accommodate a large group of late-night epicures. Most notable are Hoshun’s two- and three-sushi-roll deals, and a late-night delivery option. Bud’s Broilers has many locations scattered across the metro area, but the only one open 24 hours a day is located at 500 City Park Ave in Mid-City. 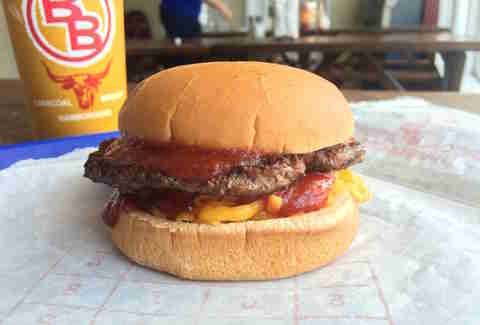 Bud’s is not a typical burger joint -- the meat is broiled on an open flame charcoal grill. A simple menu of burgers, fries, and milkshakes keeps Bud’s as a final destination for many night owls. It can be pretty busy at the most unexpected hours, so be prepared to sit back and soak in the smell of grilling meat and charcoal. Not to be overlooked are the fried hand pies available in apple, peach, and cherry. Emma Sloan is a freelance writer in New Orleans. She is always hungry after 10pm. Follow her on Twitter @emmuuuh.